In kitchen sink cleaning tips, I would like to give you some clues that make your life spiffy as much as your kitchen sink. 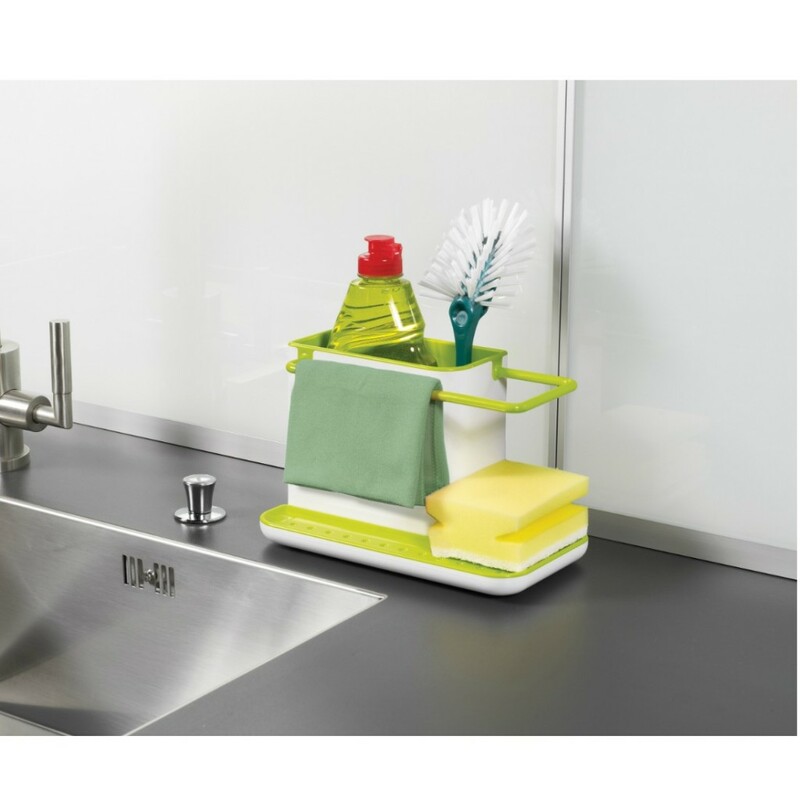 The kitchen sink should be one of the cleanest surfaces at home, especially in the busy kitchen. Germs and bacteria are the opponent of the cleaning agents. Your kitchen sink requires a small amount of regular maintenance to retain luxurious finish. Rinsing is the most important part of the sink care. If you rinse thoroughly your sink after each use, stainless steel sink will retain its original bright. This step is easy as by running water from the faucet spray hose for a few minutes. Then towel dry after each use, takes care of the most everyday clean ups if there is no washing of pots and pans. As noticeable kitchen sink cleaning tips, once a week the sink should be scoured with a non-abrasive cleanser, rubbing in the same direction as bowl finished (back and forth or the circular motion). This will blend any scratches into the finish of the sink. Rinse thoroughly, wipe dry and watch your sink shining. Keep a stainless steel sink ever shine looking, take a few minutes to smooth away scratches, which harbor stains and bacteria, with a powdered stainless steel cleanser, like Cameo, and a regular sponge. While you’re at it, help repel grime by applying a light coating of mineral oil with a rag..
· Keep the sink free of any standing water as this can cause a build up of mineral deposits, which can affect the appearance of your sink (not applicable for cast iron enameled sinks). · Remove stubborn stains by scrubbing in the direction of the bowl; finish with a mild non-abrasive cleanser such as Soft Scrub. For the faucets and handles, wipe with a mild soapy solution. The toothbrush can be used to get in the hard-to-reach areas. If spots remain, a cloth soaked in white vinegar can be used. Once you’re finished cleaning, thoroughly rinse once more time and dry with a soft rag. Your sink should now be sparkly clean! · Leave water spots, steel cookware, or utensils in the sink for lengthy periods iron particles can cause rust spots to develop on the stainless steel surface. · Use a steel wool or scouring pad, as it will damage the sink surface and cause discoloration and uneven areas in the bowl finish. Allow household cleaning agents or bleach to sit in the sink for long periods of time as this may ruin the finish of the sink. In Kitchen Sink Cleaning tips, it is good to know that acrylic has its own mold, mildew and stain resistant and won’t show minor scratches if the right kinds of cleaners are used. Since acrylic sinks aren’t porous, they’re naturally stain resistant. No matter how sensitive your acrylic sink is, keeping it clean is easy. Everything you need to clean you’re acrylic sink can be found in your house or purchased at any grocery store. Copper sinks are not friendly with acidic products even things like lemon and vinegar. Acid breaks down the finish on the copper. Avoid using any chemical cleaners on your copper sink, which can damage the metal. Instead, clean your copper sink with mild dish soap and pat it dry with a soft cloth. In kitchen sink cleaning tips, you can keep in your mind that, copper has antibacterial qualities that hinder the growth of common bacteria like E. coli and Staphylococcus aureus, so mild dish soap is your best friend!